Dundrum South Dublin AC’s Paul O’Donnell had a fantastic breakthrough at national level, when he finished a fine second place in the national Under-23 men’s Cross Country in Abbotstown on Sunday. This qualifies him for the European Cross Country Championships in Tilburg in December. 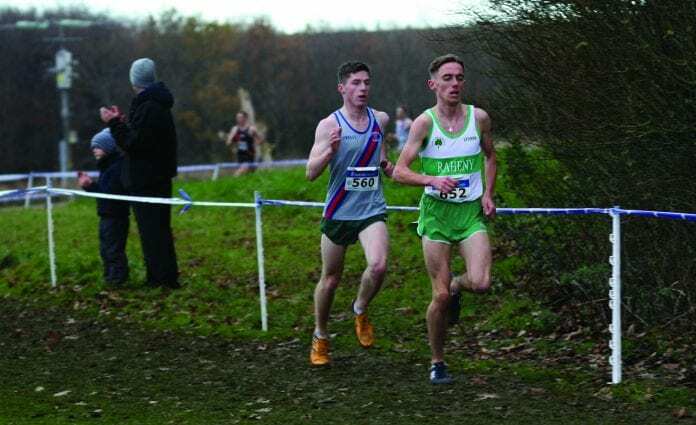 From the gun, O’Donnell and Raheny’s Brian Fay surged to the front of the Under-23 race and had a ding dong battle to the finish line with Fay pulling away over the last 600m of the 10,000m race. In the senior women’s championship, DSD finished in fourth place after an unfortunate mishap to Laura Shaughnessy, who was unable to finish just as DSD were challenging for top spot in a tough, gruelling 6,000m race. Linda Byrne was first home for the club in 17th place with Meghan Ryan 21st; Niamh Devlin 47th; Amy Moran 50th and Harriet Robinson 57th. A much understrength senior men’s team from DSD tried their hardest to make up for the absence of Hiko Tonosa, favourite for the race, and Joe Sweeney, due to injury, just missing out on medals finishing in fourth place. 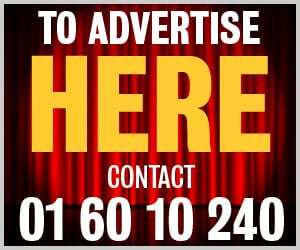 O’Donnell led home the team in eighth and supported well by Robert Corbally 24th; Killian Mooney 28th; Emmet Jennings 30th; John Eves 32nd and Mark Molloy 62nd. DSD lost the Under-20 women’s title after the longest sequence of victories in any sport in Ireland, beaten by just two points, while attempting 24 titles in a row. The team did not go down without a fight, as they finished a gallant second, led home by Niamh Carey in 13th place and supported by Grace Dervan 29th; Emma Ryan 35th, Faye Dervan 42nd and Lucy McCann 54th. Bronze medals were won by the club’s Under-20 Men (Aaron Donnelly 16th; Oisin Kelly 28th; Canaan St Lewis 54th and Rossa O’Finneadha 57th); the Under-18 boys (Oisin Kelly 14th; Canaan St Lewis 29th; Rossa O’Finneadha 30th and James Lenehan 63rd), with our Under-16 girls pipped by one point for third after a recount – Eimear Maher 13th; Saoirse O’Brien 46th; Christine Horan 56th; Ella O’Donohoe 58th. Other juveniles to impress from the club were Jamie Byrne (Under-14 9th) Isabella Tompkin Beddy (14th) and Alex Flynn Under-16 boys in 23rd.